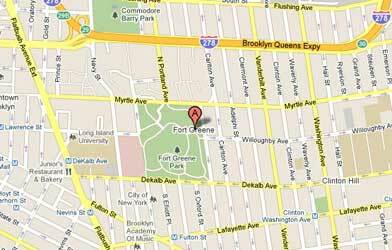 Also serving Brooklyn Heights, Park Slope, Fulton Mall, Boerum Hill, Brooklyn Navy Yard and Fulton Ferry. “With two small children, I really appreciate your friendly service and your non-toxic approach to treating our loft. The historically grounded neighborhood of Park Slope is rich in many ways and exceptionally diverse as it is the home of both wealthy and relatively middle class families. Homes and institutions can rely on Ecology Exterminating to expertly tend to their needs regarding any and all pests. Contact us today; we take all major credit cards and out skilled technicians are on-hand to help you. Homes in Park Slope and Clinton Hill have a low incidence of cockroaches and rodents with each standing at about 23%. Bedbugs are also overall low. The numbers for roaches, rodents and bedbugs are below average for Brooklyn and just about average for New York City. Still, there are plenty of problems with pests in the area. Park Slope, Fort Greene and the surrounding areas comprise culturally rich neighborhoods that are the home to many writers, actors, musicians and artists. Located in Brooklyn, is the home the Brooklyn Academy of Music, the Brooklyn Music School, The Paul Robeson Theater and many other institutions. Wallabout/Myrtle Avenue borders the neighborhood on the north. Other boundaries include Atlantic Avenue to the south, Flatbush Avenue to the west and Washington Avenue to the east.